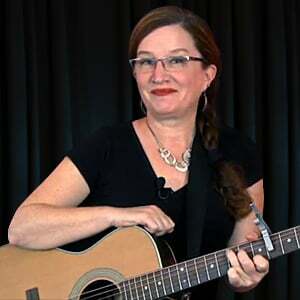 In this lesson, we will learn another song that uses only one chord, the D major chord. Remember to skip over the low E and A string with your pick as you strum the D chord. 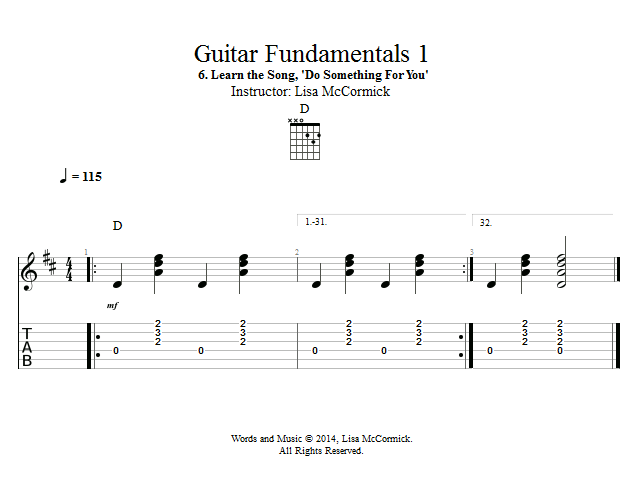 Have fun with learning to play 'Do Something For You'! 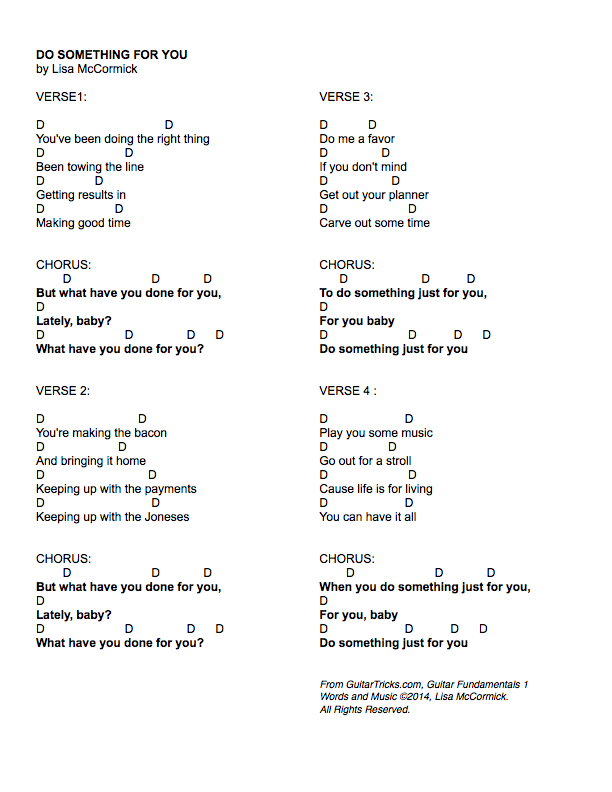 Look under the "Image Tab" to see a complete lyric sheet for this song.